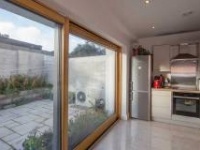 Next gen Irish designers & contractors to be steeped in passive house? I believe the children are our future, as the stomach-churningly saccharine song line goes. 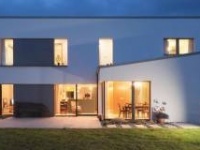 If the emerging evidence from recent Irish 2nd level exam papers are anything to go by, the construction studies teachers share that sentiment, and are ensuring that the next generation of Irish designers and contractors will have a detailed understanding of how to design and construct passive houses. The Minister for Communications, Energy and Natural Resources launched the energy policy green paper for Ireland on May 12, marking the beginning of a ten-week public consultation on the future shape of Ireland’s energy policy. Having spent a year and a half doing research into what houses we should be building in the 21st century, I have never ventured far from the Passive House standard. The reason for this is that it makes sense! That's not to say that I haven't come across criticism. Retrofit buildings instead of building pylons? In the new issue of Passive House Plus, architect David Hughes argues that instead of investing tens of billions of euro upgrading its electricity infrastructure and building wind farms, Ireland should instead invest the money in the energy retrofit of its building stock. Have energy ratings become an afterthought? That’s the question I want to ask today. I’m talking mostly about the situation in Ireland, because it’s the one I’m more familiar with things over here — particularly with regards to building regulations. But the same might apply to the UK. In Yellowknife — the capital of Canada's Northwest Territories — January temperatures average -27C. 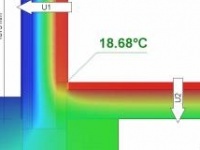 So warm, low energy housing isn't just about cutting carbon, it's about staying alive. 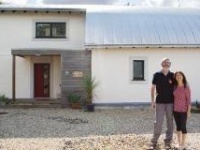 This is Villa Lagenkamp, the first certified passive house ever built in Denmark, finished in 2008.